No two shows on television portray interdimensional travel better than The Flash and Rick and Morty, and it looks Team Flash might borrow an idea from a few Ricks out there in the greater Rickstaverse. Harry (Tom Cavanagh) enlists Cisco’s (Carlos Valdes) help to summon the ultimate think tank: “The Council of Wells’,” a roundtable of the brightest Harrison Wells’ from various Earths. That’s right, we’re getting an actual “Council of Wells’.” Will Cisco reference the Council of Reeds from Marvel comics when he’s the one that inevitably names it? Or is he more likely to reference Rick and Morty’s Council of Ricks? Fans of Rick and Morty no doubt remember how dangerous the Council of Ricks is, having been an antagonist group to Rick and Morty since Season 1. Will the Council of Wells be as varied as the Council of Ricks? 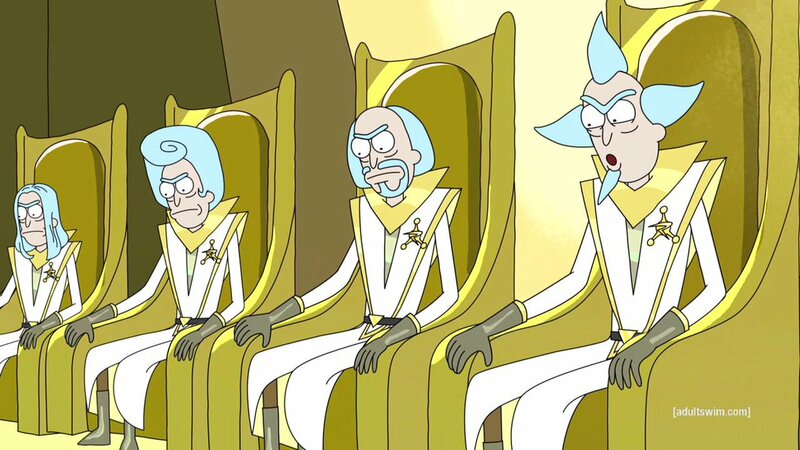 The Council of Ricks was formed by Ricks from various universes who sought to protect themselves from their many enemies across realities. The main Rick of the show is a bit of a rogue and acts outside their regulation quite a bit. The Council of Wells, on the other hand, seems more like a think tank brought together to solve this season’s most pressing problem: Who is The Thinker? 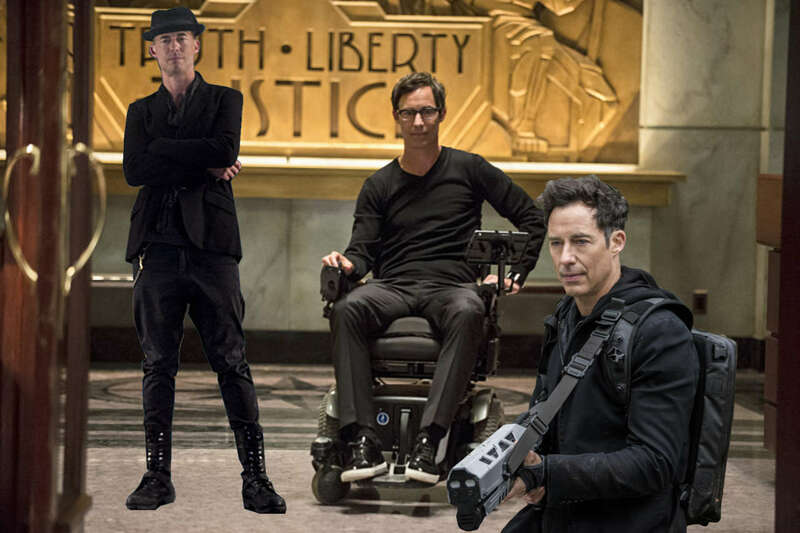 Actor Tom Cavanagh, who’s already played seven different versions of Wells, confirmed back in July that The Flash Season 4 would explore even more versions of the character — but who could have predicted it’d be anything like this. Maybe it'll look something like this. At the end of “Luck Be a Lady,” it was Harry Wells that realized how it seemed like the recent events were being orchestrated by some malevolent force in the background, starting with the Samuroids appearance. Viewers, of course, know that The Thinker has been behind everything, which means that Team Flash might learn about The Thinker in the coming weeks. It’ll be up to Harry, and all the other Harrisons from across the multiverse, to try and outsmart the technologically enhanced Thinker.